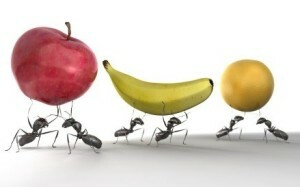 All insects are bugs but not all bugs are insects. 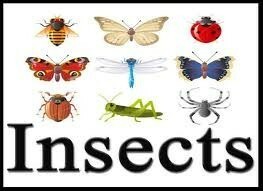 An insect has three body parts a head, thorax, and an abdomen. Insects have six legs and two antennae. Spiders and scorpions have eight legs and are not considered insects. Got it? Of the 1,830 varieties of fleas, the champion jumper is the cat flea. It has been known to leap to a height of 34 inches. That’s like a 100 lb. person leaping so fast and so high (over 100 feet!) that the g force he/she was enduring made he/she feel as if they weighed 20,000 lbs.! Relatively, fleas take off with greater acceleration than the Space Shuttle. A female house mouse gives birth to 6 young about 19 days after mating. She is ready to mate again in two days. She can produce 60 to 100 litters a year. Each of her young is ready to mate in two months. Remarkably, all her children, grandchildren, great grandchildren, and great, great grandchildren can have offspring in the same year. Two mice, starting to breed on New Year’s Day, could theoretically have as many as 31,000 descendants by December 31. Rats can jump 3 feet straight up, and four feet outwards, from a standing position. They can burrow three feet straight down into the ground; chew through building materials, glass, and cinder block; swim 1/2 mile in open water and against current in sewer lines; and, climb up inside the pipes with diameters between 1-1/2 and 4 inches. A rat’s teeth are so strong; it can bite through aluminum, lead and other metals.